The screenshots below are a small excerpt of possible ways for providing a tailored application. To enlarge any screenshot, click. When the screenshot window is visible, you may also move between all images by clicking the left or right area. Screenshot of "tPOC" - a Windows application resp. offline variant of an SAP system (cProjects). For this application, a control-library was developed and implemented. 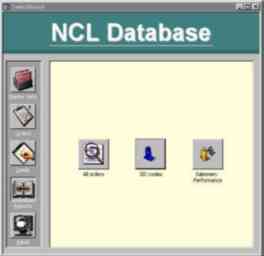 This library allows for mimicing the original application's general look and feel (SAP Web-GUI). Data is being hosted using a local SQL Server (Express); data exchange with the SAP host system is performed through SAP web-services. KursOrganizer is a stand-alone application geared at companies that organise courses and/or classes. It has been on the market for over a decade. The screenshot here shows version 10 which is still being worked on at present. V10 will, apart from directly working with Microsoft SQL Server as its database system, also be able to work as a so called "Smart Client". That is, KursOrganizer is capable of connecting to a database server through the use of web-services. In order to read from and write to KursOrganizer's database, the only prerequisite is thus an existing internet connection. Visit the >>KursOrganizer Website for additional information about this product (German only). 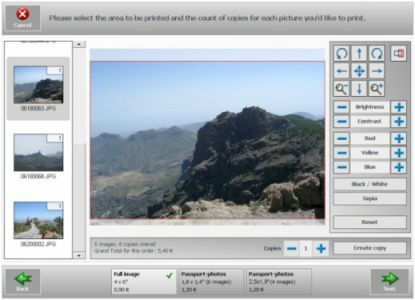 PhotoExpress is a stand-alone application for printing photos off of several media, such as memory cards, USB-sticks, by connecting a device using an infrared- or bluetooth-connection or by sending an MMS to it. Photos that have been transferred may either burned to a CD or be edited and printed out at the station (PC) that is running PhotoExpress. The application has been developed so that the PC that it is running on may be placed in public places; it allows users to pick the language to be used, including support for right-to-left oriented languages such as Arab. 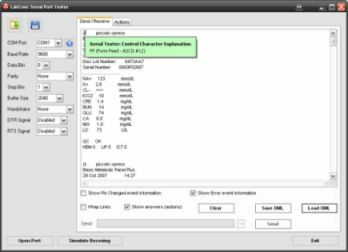 SerialTester looks back on several years of development and ongoing enhancements. 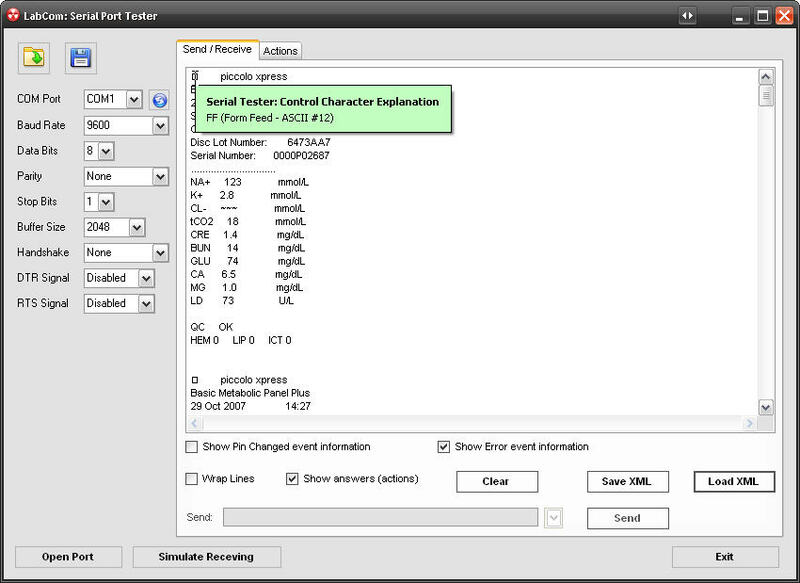 It was created for the purpose of analysing data streams from and to devices that utilize the serial port for communicating with them. It was last improved during a project for a British consortium of several laboratories and analysis device manufacturers in order to accomplish bi-directional communication between an LMS (Laboratory Management System) and several analysis devices. 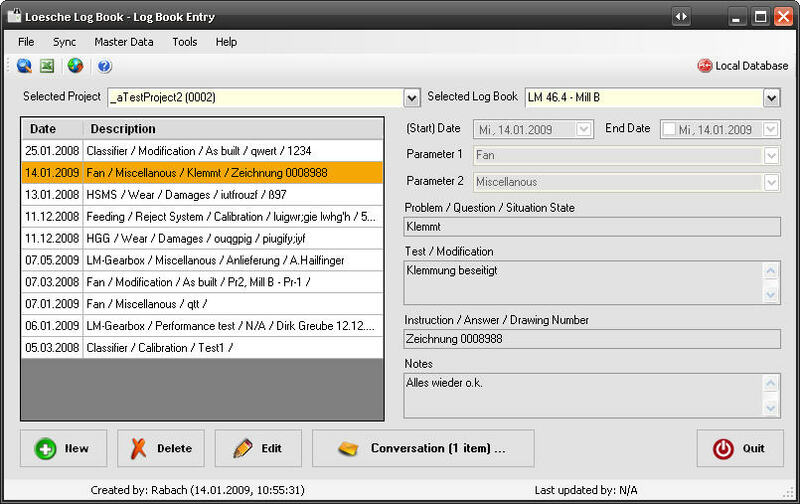 LogBook was developed for a German manufacturer of grinding plants. The customer's field service is characterized by the fact that its employees are working in the remotest parts of the world where no connection whatsoever may be established to the parent houses with their database servers as long as the employees are on site. 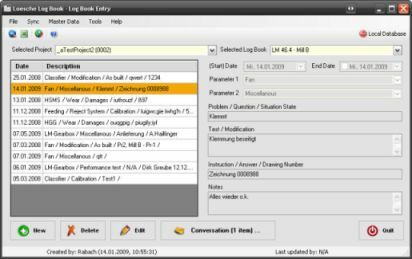 LogBook has thus been created to help field service employees to continuously edit and enter data without being connected to the central database system (Microsoft SQL Server). In order to synchronize their local data (held in an Microsoft Access database), the application will use the company's VPN connection and connect to the main database through web-services when an internet connection becomes available. However, the in-house employees use the exact same application and connect to the central database system directly. Excerpt of an group-hostel's main administration-form. An unusual type of data-display with (overlapping) bookings being shown together with information about general and county-specific information in conjunction with holidays as well as school-vacations (definable or using pre-defined counties with already stored data). This form is being used as a booking-overview and offers quick access to all - existing as well as new - bookings' details by just clicking an item. This application was built using a sophisticated system of different user-roles/access-rights. According to the rights defined for groups the users get assigned to, the system-logon will be different for each user according to the rights specified for her/him. The screenshot shows a user that has been granted full-access to the system. 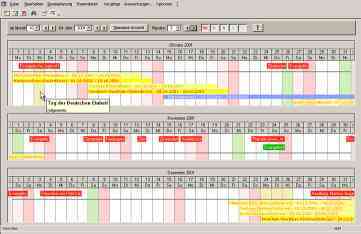 Main form of a timesheet-system with overviews of day-, month- and year-related data. The application's data-backend is based on an Access2000™-system which is also being administered using an Access2000-frontend, providing access for around 250 users. The screenshot shown here though is a part within the project that is mainly being installed on workstations without an Access-installation. 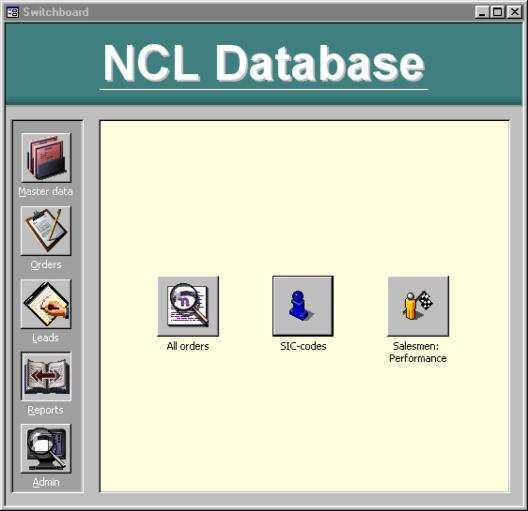 Hence, a separate application has been programmed using Visual-Basic 6™ ( - assuring access to the database-system even without a local Access-installation - thus saving license-related cost without the necessity of distributing an Access-runtime-version in order to use the application. One of the main form's (detail-) sections within the access-application mentioned in conjunction with the timesheet-system above. This switchboard offers hierarchically/logically based access to the application's sections. The area being shown in this screenshot offers access to the administration of pick-lists that help ease-up the process of entering repetitive data in many parts of the application while preventing faulty input by restricting input to the predefined items at the same time. Warehouse administration-form of a metal- and steel-construction company's business-system. In this application, all in- and outbound traffic-volume as well as internal movement of articles has been eased up by providing an integrated lookup-functionality together with the current stock. All bookings/transfers are being handled from here which, at the same time, helps simplifying inventory-related tasks. Form used for editing personal data in conjunction with the membership-administration of a company's sports-club. Integrated as well have been facilities to administer all tasks related to automated financial transfers such as i.e. the membership-fees. Startup-screen of a contact and mail-merging software for the german outside-sales department of a coatings-industry (MS Access97). This includes an address administration part that distinguishes between companies and their individuals while having the ability to group companies using free definable branches. A fundamental demand was to enable persons with little to no experience with computers to work with the software without startup training. Network-Monitor: A general accessory for all server-/network-based applications, helping you to find out who's currently using the database resp. connected to the backend. This screenshot shows a form that will display all users currently being connected along with their login-names. This form has been made available to the public (for fellow developers) - see the >>Blog for further details including a sample database along with the complete source-code. Important forms are (where necessary / on demand) - resizable or even scalable, offering a way developing a form only once for different screen-resolutions. A general part of all our applications is the 'focus-display'. This will enable you to tell at a glance what element is currently active. The form shown is part of a management and administration application for a publishing company, based on MS Access 2000. Reports with the option of tailored filters allow you to view and print data that is restricted to exactly the part that is of importance to you. Naturally, the so prepared data may be further processed by external applications, such as Microsoft Excel, Microsoft Word or others, such as CSV or even proprietary formats. A lookup-form (part of a contact-application) that will search all relevant fields throughout the database for the search-string you entered. Accordingly in the above mentioned application there's another lookup-form for a quick look-up of an entry based on its phone-number (recursive search) as a part of the telephony integration (CTI). 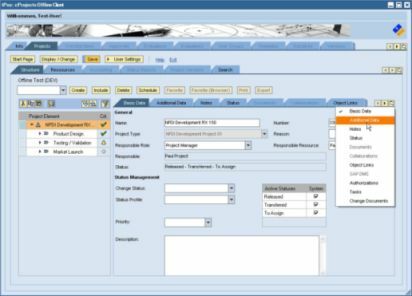 If generally necessary - or upon demand, integrated toolbars provide quick access to frequently needed functionalities within the application. 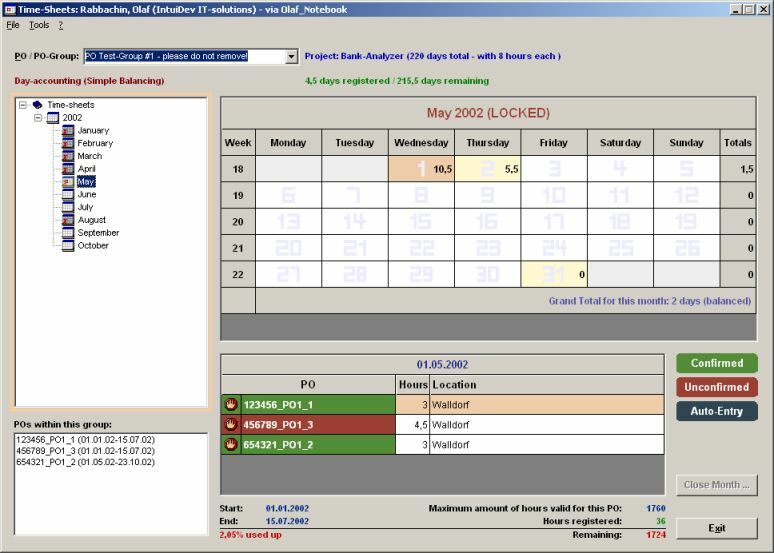 The toolbar being shown has been taken from an application with computer telephony integration (CTI) using the TAPI-interface (telephony application programmers interface). If the system detects an incoming call, the user is notified along with an option to directly jump to the corresponding record (if existing), providing a means to quickly view and/or edit this contact's data or add i.e. an entry about the current phone call. A toolbar might as well serve as a means to turn common switches on or off. In the above example, a button is used to toggle the system's automatic call-detection (off in this example). 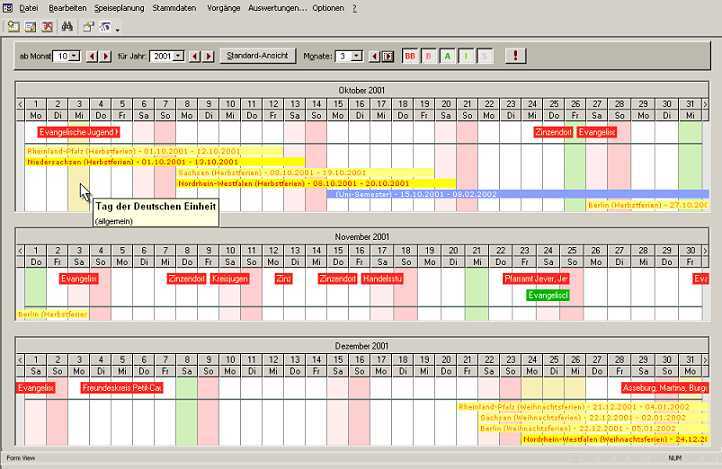 A scheduler with an integrated calendar, offering quick access to the desired date or date-area. In addition, the integration of external applications, such as Microsoft Outlook, should be considered - sometimes even favored. Already existing resources can be re-used by means of automating Office-applications with the custom software created for you, providing more efficiency and synergy effects. General accessories: calculator and calendar. Accessories like these enable the user to take over calculations or dates easily into any compatible form-element by just using their mouse. If an application uses time-values, we'll provide you with a form for that, too. 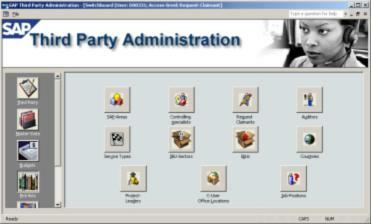 Sample screenshot of a switchboard, used as the central screen throughout an application. Switchboards offer a hierarchically ordered user-interface, helping provide an intuitive operation of functionalities within the application. There's several areas that will - after being clicked - guide you to the next possible step. To further help recognition, all areas show different colors. Keyboard-shortcuts for sections and the underlying items further improve the accessibility of an application's areas/forms. Sometimes, descriptions for i. e. buttons may get very long. In such cases, replacing text with images can help the user to quickly grasp the function of elements. Resting your mouse over an image may additionally show a control-tiptext - a small window that offers quick and short information about the purpose of the button / topic. The form being shown here is an overview-form for administering mail-merging templates. Would you like to know more, or do you care for a preliminary consultation? Please contact us.